It has been a weird time to be a certain last son of Krypton lately. Parallel Earths, parental obligations and the usual world-ending threats are all par for the course, but there’s also the added wrinkle of DC Comics tweaking his iconic outfit on an annual basis now. 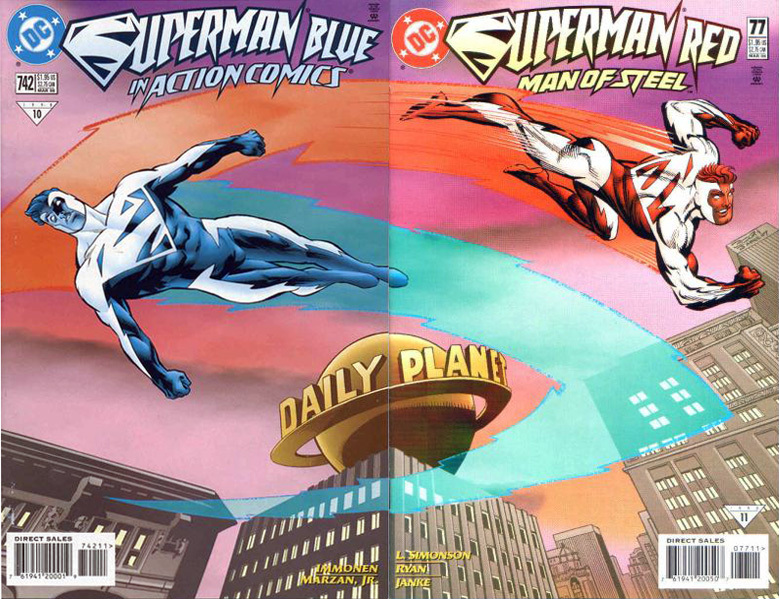 And you thought Superman Blue and Red had a tough time in the wardrobe department. Also on the schedule? A plot reveal as to just who the hell that unpowered Clark Kent really is, who has been helping to keep to keep the Man of Steel’s identity a secret in the wake of the Superman Reborn storyline. I’m digging the tweaks here, more so than the outfit that Superman was rocking following the launch of DC Rebirth. It just feels more balanced, now that Superman has a new pair of boots, a proper belt and a lighter tone of blue to signify his ability to inspire. They’re small, yet major changes to the naked eye on a subtle level. And they make sense, considering that the current Superman happens to be the original big blue boy scout who survived the events of Flashpoint and Convergence to save the day once again. There ain’t nothin’ wrong with a retro look adapted for today!